According to Battery University (yes there is one out there), “All batteries have one thing in common: they run for a while, need charging, progressively fade with each cycle and eventually need replacement. The dream of a continuous energy source is not going to happen soon.” http://batteryuniversity.com. Willard is acknowledged as a quality product that offers value for money, also a hard-working brand in terms of its ability to meet the needs of a diverse market. 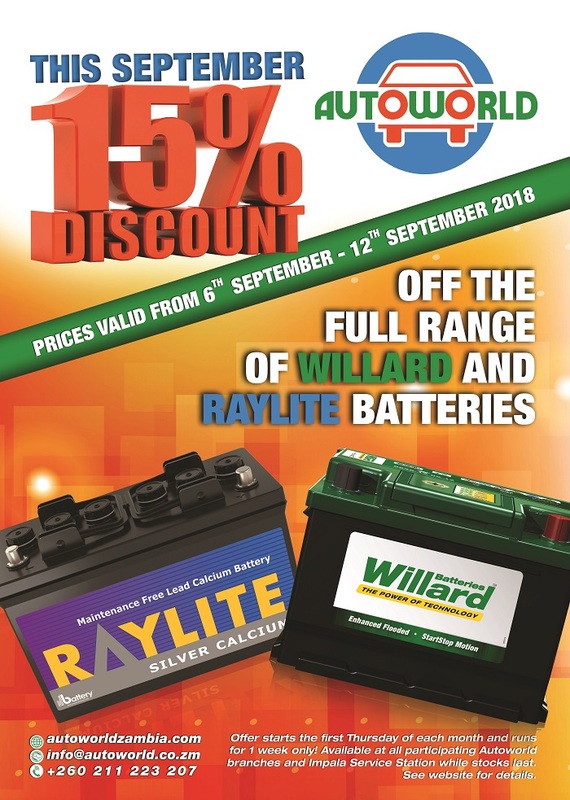 Willard Batteries is part of Powertech Batteries, a wholly owned subsidiary of the Powertech Group, one of the largest power electronics and telecommunications group in Southern Africa. 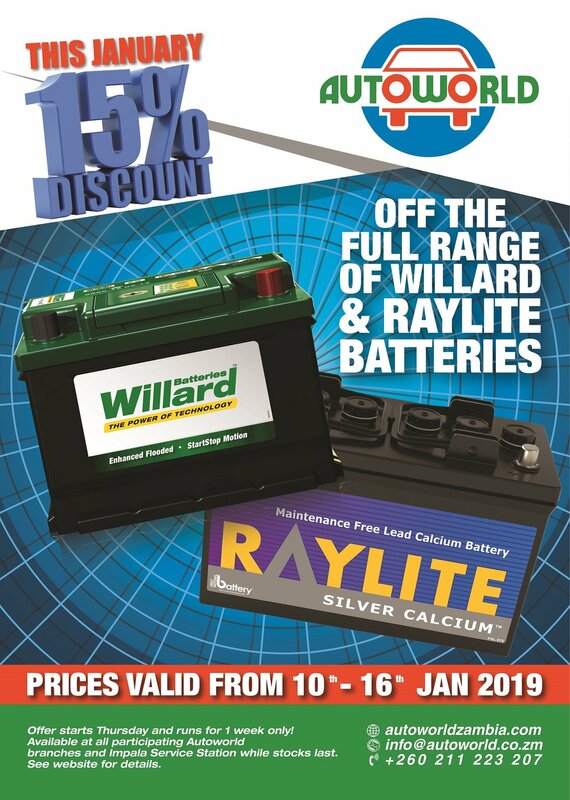 Autoworld also stocks Raylite batteries. Established in 1931, Raylite has been a solid performer on the world battery scene for decades. When it comes to replacing your battery, selecting the right one can make all the difference between a battery you rarely think of, and one that becomes a constant source of frustration. Not sure if you need a new battery? If you don’t know whether your battery needs replacing, visit any of Autoworld’s fitment centres. While you wait, our staff will check your battery terminals and battery water levels (distilled water levels) ensuring your battery remains in good condition. We will also happily test the charging system on your vehicle, as well as your battery condition. Our equipment will report the alternator voltage (very important in prolonging battery life). The equipment will also test the condition of the battery, identifying any damaged cells. You’ll get a printed report of this assessment of your vehicle’s charging system and battery. Never store batteries for long periods of time without charging them up regularly. This shortens the lifespan of a battery significantly, even if it is brand new. If you have a recreational vehicle, boat or motorcycle that is not used on a regular basis, it is advisable to connect its battery to a trickle smart charger. This is a battery charger permanently connected to a 220v power supply as well as both terminals of the battery while it is stored away. The charge of the battery is permanently kept above 12v. As soon as the battery drops below 12v then the charger automatically begins to charge the battery. Once the battery has reached 12v the charger will immediately turn off. This charger can be left connected for very long periods of time and will protect your battery from permanent damage. Smart chargers are available from the Autoworld Downtown Marine shop. We trust this information has been useful to you. Visit our fitment centres and Autoworld stores for your new battery. 15% off Yamabisi and Ecogen Generators! This is the week! Sort out your out-of-town power needs, with a generous 15% discount off all Yamabisi and Ecogen generators. 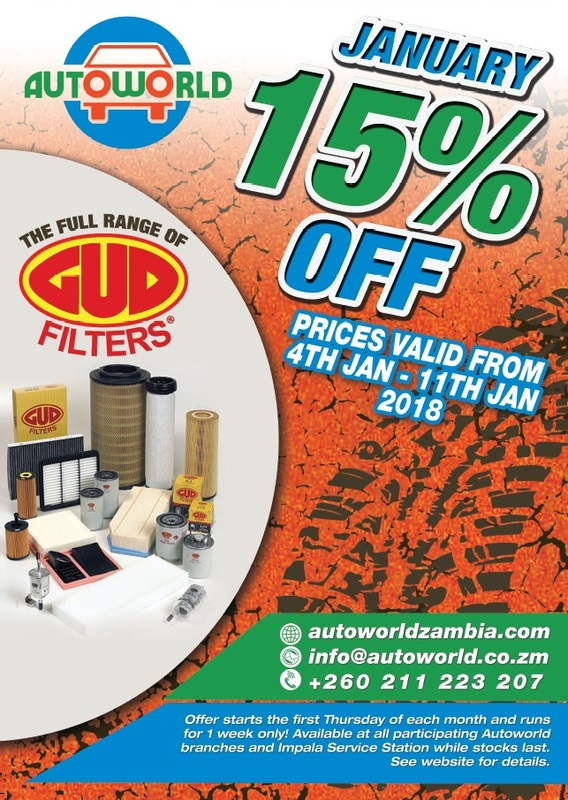 From Autoworld - keeping Zambia moving since 1992. 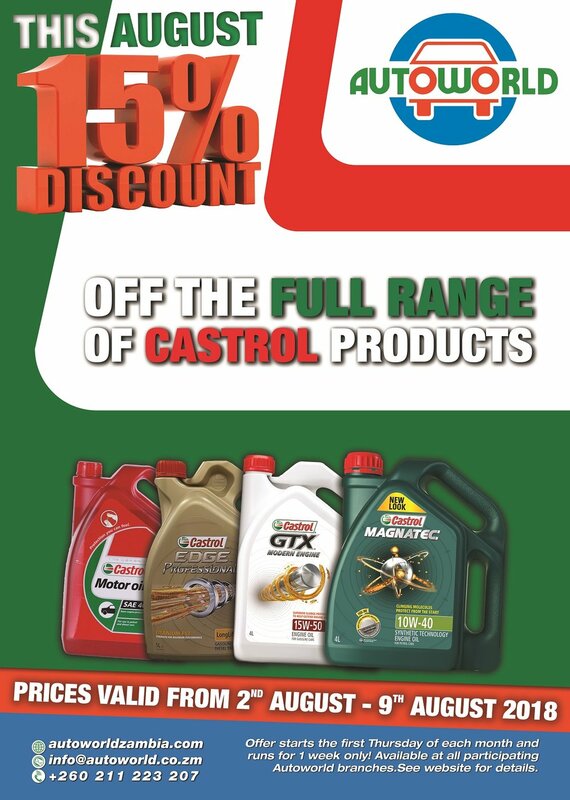 Our August 2017 Monthly Special is on Castrol lubricants - a full 15% off all our Castrol lubricant range. This offer starts today, Thursday 3rd August 2017 and prices will be valid for 7 days - until Wednesday 9th August 2017. 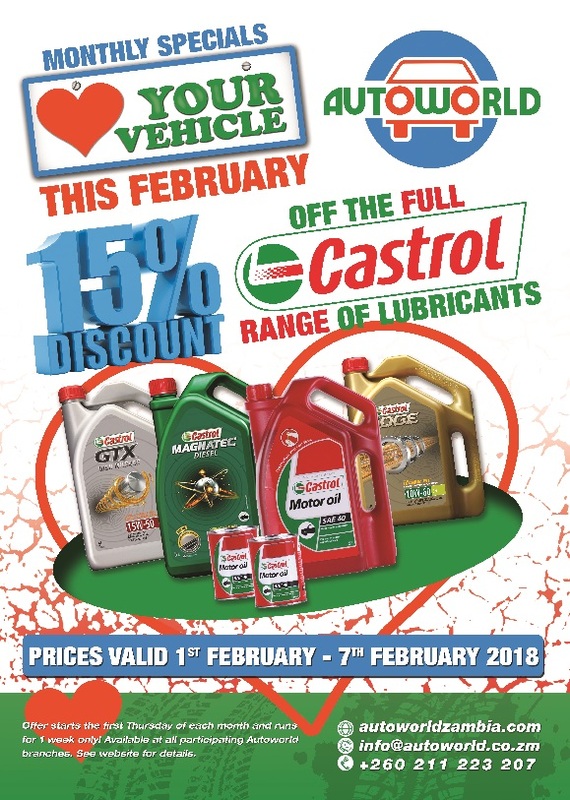 The offer is available at all participating Autoworld branches and Impala Service Station while stocks last. Call your nearest branch for further details. And be sure to check back next month for more Monthly Specials! 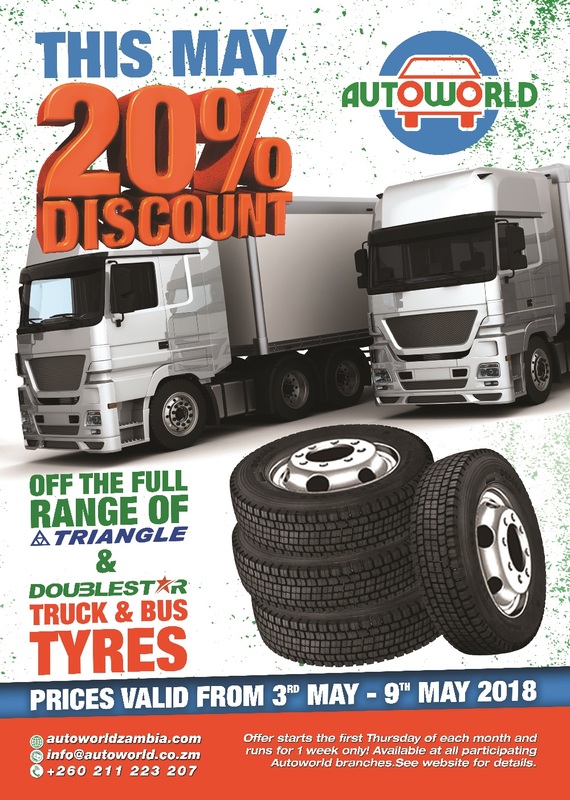 Thinking of servicing your vehicles? 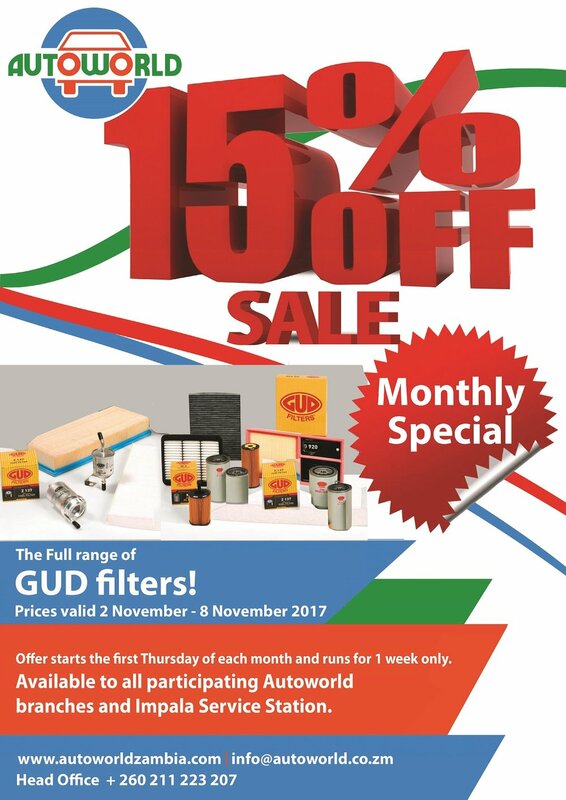 Enjoy a generous 15% discount on Autoworld's full range of GUD filters from today until next Wednesday (6th to 12th July 2017 inclusive). 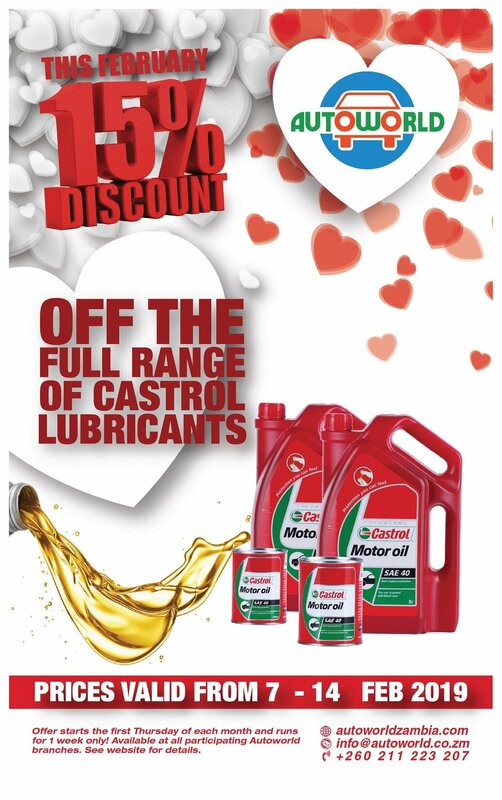 Offer available while stocks last, at all participating Autoworld branches and Impala Service Station!